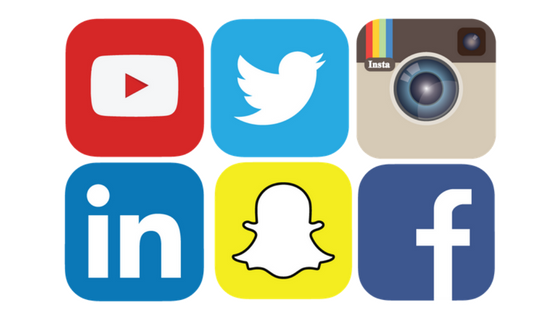 Which are the best social media networks for my business? The question that every business owner asks – which social media platforms should I choose to be on for my business? The answer: it depends entirely on your business. Not quite the simple answer you wanted to hear, right? The truth is there’s technically no right or wrong to which platforms you should be present on, however there are slightly better choices than others. You have to ask yourself, who is your audience and what is your message? For example, the average Snapchat user is 18-24 years old whilst the average Facebook user is 25 to 34. These common age demographics allow you decide where your prime target is situated and therefore choose the best way in which to engage these key customers. Every business is unique and that’s why you shouldn’t choose a platform just because you have seen that another brand is doing well on it. In fact even if the other brand is your competitor, selling the same product as you, this does not necessarily mean that the same social media channels will work the best for you both. That’s because social media allows you to be creative, and to really showcase your individual brand and message in your own unique way. The first thing I would advise doing is to sit down and have a think about what you think is manageable, what channel you think can best showcase your brand, and what your business goals are from this type of marketing. It would be naïve to think that social media involves a couple of posts here and there with a picture of the product your selling, and even more naïve to think that a good social media following and engagement doesn’t take time. However when used to it’s maximum capability it can open up an array of new paths that your business can venture down. Firstly, you have to decide how much money and time you’re willing to put behind your social media campaigns. This will most definitely change which of the social media platforms will work for you. I would also advise to do this on a 3 monthly time basis. Month-by-month (especially when first starting up on social media) is going to be extremely difficult to analyse your performance as it does take time to see results. Knowing what your budget is will allow you to choose the right channels in which to best advertise your business. Second you need to research where your customers are already present. There’s no point putting time and money into a channel that’s essentially empty. Nowadays most social media users will have had some interaction with the main contenders of social however this is not to say that they are all using them, and certainly doesn’t mean that they are all using them for business (there’s a difference.) Facebook is the most popular channel with over 1.94 billion active users, so it is likely that you will find a large group on here, however for companies involved in B2B, LinkedIn, with over 106 million monthly active users, may be a much better grounding place for your marketing. All in all, observe what your customers are searching for, liking, loving, hashtagging, etc. and decide whether you believe your brand can fit into that platform. It may be that you can see that you have a small audience on every platform; but this doesn’t necessarily mean you should put yourself on every one. Again, it will come down to essentially how much time you want to put into social, however using different channels for different things (i.e using Twitter as a customer service platform and Instagram as an advertising platform) is certainly fine and in many cases advisable. Although that may seem like a lot to take in, with extensive research at the offset, it should be rather simple to grasp where your customers are and which social platforms to be on. Failing that, you can always find help in a professional! Now you’ve decided where to base your marketing, you need to decide on your content… Look out for more blogs to follow on some super tips for great content!